Hey there! 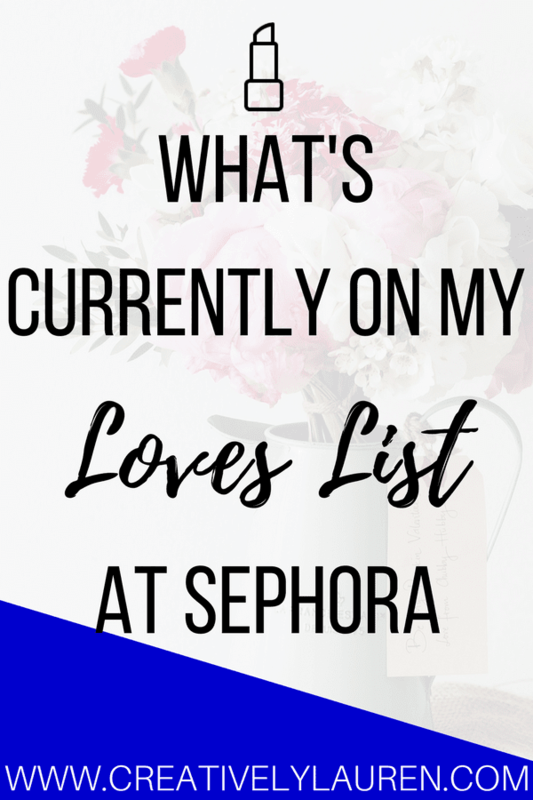 Today I wanted to share with you what is currently on my “loves” list at Sephora. It’s springtime and that means that brands are coming out with their summer collections. It seems like brands are coming out with a lot of stuff recently. However, I have a lot of tried and true things on my loves list as well. 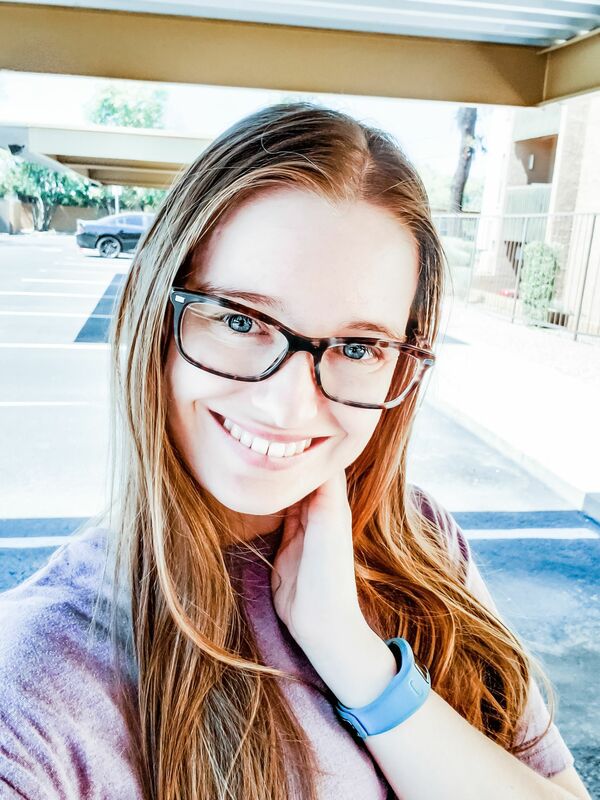 Links below are affiliate links meaning that I earn a small commission off of your click/purchase. All opinions are 100% my own. Thank you for supporting Creatively Lauren! Now, I know the loves list is supposed to be for things that you’ve tried and loved. However, I also use my loves list as a wishlist for things that I want to try from Sephora. So this list includes things that I have tried and loved, and things that I have heard good things about and want to try. One of my absolute favorite products from Sephora is the Urban Decay All Nighter Setting Spray. I found this setting spray in high school and have loved it ever since. I even trusted it to hold up my makeup on my wedding day, and it definitely did the trick! Another one of my favorite items is my Sephora Collection Crystal Nail File. Before I got this nail file, I used emery board files, and those did okay. But once I got a crystal nail file, my life changed. I love this nail file, it makes filing my nails so easy. Another one of my favorites is the Becca Shimmering Skin Perfector. I got into Becca Cosmetics when Jaclyn Hill released her Champagne Pop collaboration. I use the shade Moonstone because I am so fair skinned. One of the items on my list that I really want to try is the Anastasia Beverly Hills Modern Renaissance Pallete. I have heard so many good things about this palette. The colors look so beautiful and I really want to try it. I also want to try the Drunk Elephant Potini Polypeptide Cream. I have used their C-Firma Day Serum, which I love. I watched Stephanie Nicole talk about this cream in her current Sephora favorites video and now I want to try it. Scroll through below to shop all of my current items on my loves list from Sephora. What is on your loves list at Sephora? Let me know down in the comments!